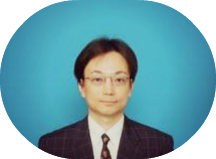 Chikaki Sugihara is Professor of accounting at Rissho University in Tokyo. He was born in 1961, and studied accounting at both undergraduate and postgraduate level at Kobe University, Japan. From 2004 to 2006 he was an academic visitor at the Judge Business School of Cambridge University and was involved in the organisation of the 4th International CMS conference in Cambridge as a member of the conference team. He also convened streams at the 5th International CMS conference in Manchester and the 7th International CMS conference in Naples. His research focuses on a critical exploration of the interrelation between accounting, governance and management practices. He also translated Alvesson/Willmott ‘Critical Management Studies’ (1992) into Japanese so as to promote CMS thinking amongst Japanese academics and students. He aims to organise an International CMS conference in Japan to enhance engagement and dialogue between Japanese researchers and researchers from outside of Japan. He is particularly interested to facilitate the exploration of the relevance of CMS for the Japanese context.